Joshua Redman is probably one of the better-known jazz sax players these days. He should be, since he’s been at it since the early 1990’s. Experience doesn’t always indicate success, but in today’s music world, a bad jazz artist isn’t likely to last thirty months, let alone thirty years. While in high school, he was a member of the Berkeley High School Jazz Ensemble and Combo. After high school he attended Harvard University, where he earned a degree in social studies. As a result of Redman winning that competition, regardless of the reason for its name, the world now has one more superb saxophonist whose labors we can enjoy, and one lawyer* less to jeer at. “Wish” opens with a song from the late Ornette Coleman, “Turnaround” from 1959. This is a great opening number; it is lively without being frenetic, and the whole gang is involved from the git-go. Redman takes the opening lead of course, hooking us with the warm, mellow tones of his tenor. Not quite three minutes in, Redman steps back and Metheny takes front and center, followed by Haden. For the final minute everyone joins in and gives this one an actual ending. For those of you who enjoy technical deconstructions, which I make no pretense of being capable of providing, here is someone named Adam Roberts with a deconstruction of Joshua Redman’s performance of “Turnaround” on this album. “Turnaround” is followed by one of Redman’s songs, “Soul Dance.” This is an interesting song. It opens with a mellow tone, and really never picks up very much but still leaves you feeling as if it were more upbeat than it actually is. Part of that undoubtedly is due to the influence of Higgins drums. Although the mix has him relegated to the background, Higgins presence is still obvious and subliminally effective. Owing to some non-musical issues that I had to deal with earlier in the day, including facilitating a neighborhood watch meeting at my condos and getting my hair cut by Barber Dan, Portland’s only barber with a Platinum Record (scroll down to “Best Rock ‘n’ Roll Barber), I am rapidly running out of time. Unfortunately, that means I’m going to have to skip over some songs I had hoped to include in this. Jumping forward, we arrive at a perennial favorite of most red-blooded jazz lovers everywhere, Charlie Parker’s “Moose The Mooche.” Redman’s take on this one (no technical stuff, remember?) is entertaining and will hold your attention to the end. Another leap forward takes us to one of Metheny’s two songs on the disk, “Whittlin’.” The title itself calls to mind an image of a young boy with a jack knife, carefully slicing away at a small piece of wood, hoping to reveal whatever image he hopes is hiding within. The music, I must say, does not do anything to further that vision. What it does do is carry you along on notes that are enjoyable and all-too-soon gone. I have no idea of the provenance of this song, but I do know this: I like it! The last song I have time to tell you about is the Charlie Haden composition, “Blues For Pat” which was written for Metheny. Indeed, it was first performed on Metheny’s 1983 album, “Rejoicing,” which he recorded with Haden and Higgins. The version presented here was recorded live at The Village Vanguard in New York before a small but appreciative audience. It is by turns lively and quiet, and I will say it makes the perfect exit piece for an album that possesses those same attributes. 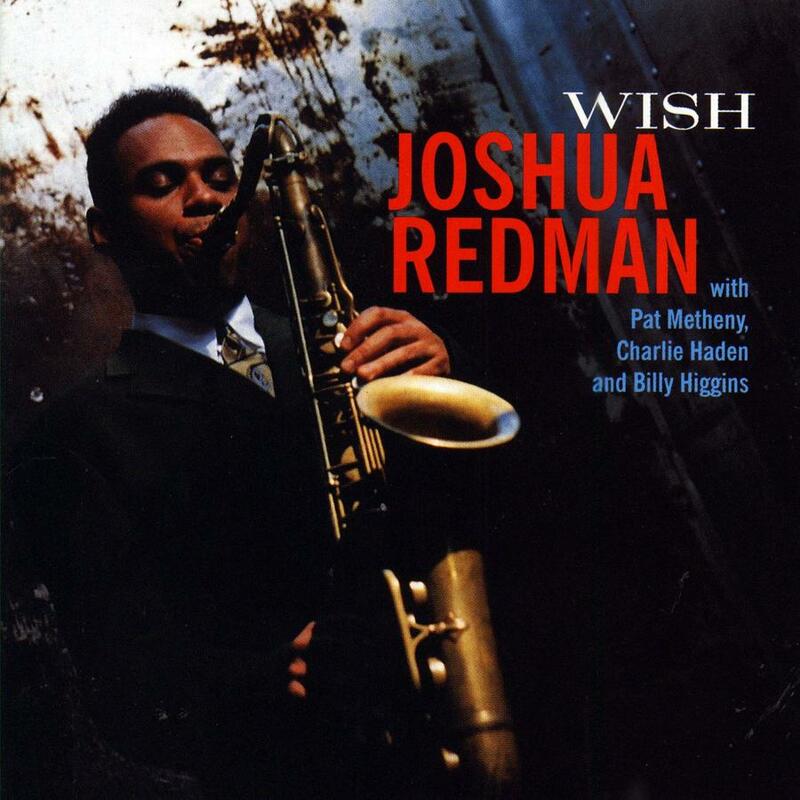 All in all, I have to say that I think you will find “Wish” from Joshua Redman to be a fantastic addition to your personal playlist, for a Saturday or any other night! To learn more about Joshua Redman and his music, here are a few places to check out. First and foremost, there is Redman’s own web site. Scott Yanow has a nice bio of Redman on the allmusic.com site. And you can keep up with his latest adventures by following him on Facebook and/or Twitter. * Old joke: What do you call 500 lawyers on the bottom of the ocean? Answer – A good start.